Are you looking for a safe and easy way to open your cans? Do you have arthritic hands or an injury that is preventing you opening cans manually? Let me help you find the best rated hands free can opener to make your life easier around the kitchen! In fact, after researching and trying many of the top selling ones across Amazon.com, the best overall electric can opener for quickly and easily opening cans is the Black & Decker Spacemaker. 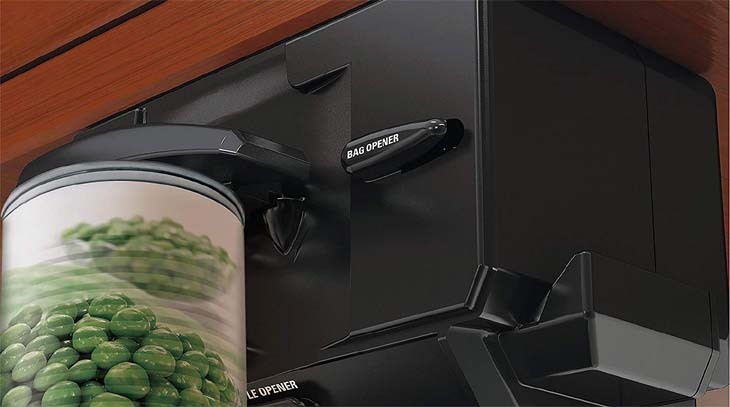 The Black & Decker Spacemaker is an under-cabinet muli-purpose device for effortlessly opening cans of all sizes. It also doubles up as a knife sharpener, bottle opener and bag cutter. 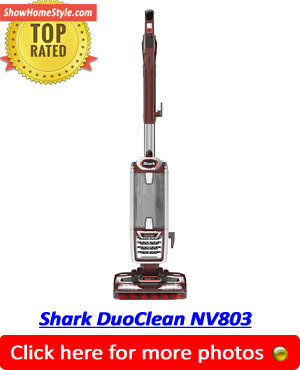 This appliance is robust, reliable and built to last. It’s also very reasonably priced, although it will require installation! The Black & Decker Spacemaker is the best of the best electric can opener, but if an under-cabinet appliance doesn’t suit your kitchen design, then the next best rated hands free can opener is the Hamilton Beach Smooth Touch. The Smooth Touch by Hamilton Beach is a countertop, side-opener, that can handle most sizes of domestic sized cans. It’s large control lever is very easy to operate and requires very little grip strength to open your can. Unfortunately, the sheer annoyance of getting out a can opener and manually rotating it around by hand can sometimes dissuade you from even wanting what is in the can, especially if you have a weak grip or pain in your fingers. Luckily, the Black and Decker Spacemaker Multi-Purpose Can Opener makes the task a lot easier and more convenient. 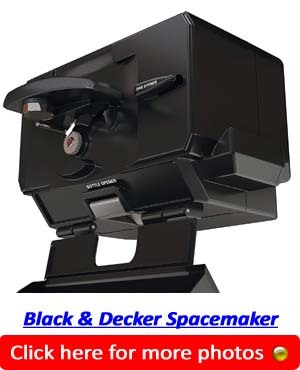 The Black and Decker Spacemaker has a very low-profile design which fits nicely under your cupboard. It is black in color so it will easily blend in with its surroundings and is only 8.4 X 5.5 X 8.3 inches making it very small and compact. You simply attach this can opener to the underside of your cabinets. This means that you don’t have yet another appliance taking up that valuable counter space. The power cord can be stored in the back of the unit which is very handy because you only use the amount of cord you need to reach the power outlet rather than having a ton of extra cord spill out onto your countertop. Another great feature of this can opener is the swing open door. All of the features of the can opener are behind this door. To open simply press it and it folds down. It is very easy to use even if you have little grip. The door creates a very modern and sleek profile. All of the features including the can opener are hidden away when not in use. A major selling point for this can opener is that it is more than just a can opener. It has several useful functions. It easily opens bottles. No more scrambling to find that small bottle cap. Just hold the bottle underneath the can opener for a quick removal. It also sharpens knives. Sharpening your knives prolongs the use of them. It also can be used as a bag cutter. Another great feature of the Black and Decker Spacemaker is its automatic shut off. You do not have to worry about turning it on or off. When you’re finished with it, just leave and it will automatically switch off after a short period of time. The Spacemaker electric can opener does need to be fitted under a shelf or cabinet and it is recommended to have two people for installation. Find a cabinet with a level bottom and use the handy guide to make sure you drill in the correct places. It comes with several screw lengths and spacers to make sure you get a custom fit for your kitchen. On Amazon, there were over 1500 reviews and it has got an average rating of 4 stars. Most customers were very pleased with the product. They felt that the design was simple but effective. They were impressed that it could open cans of every size. Some people were frustrated that they could not easily install the product because of a lip on their cabinet, but the spacers included with the appliance make this easy to achieve. Others did feel that the swing open door seemed flimsy and were worried it would break soon. Overall, the Black and Decker Spacemaker seems like a great addition to the kitchen. It is definitely something that will be well utilized. The extra tools are a bonus and a selling point and if you are in the market for an easy to use electric can opener, this one is the best.